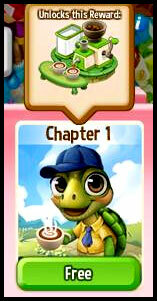 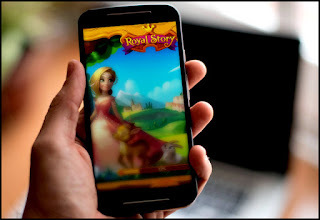 For a limited time the Tortare Biography Quest is free in the Royal Story Facebook game. 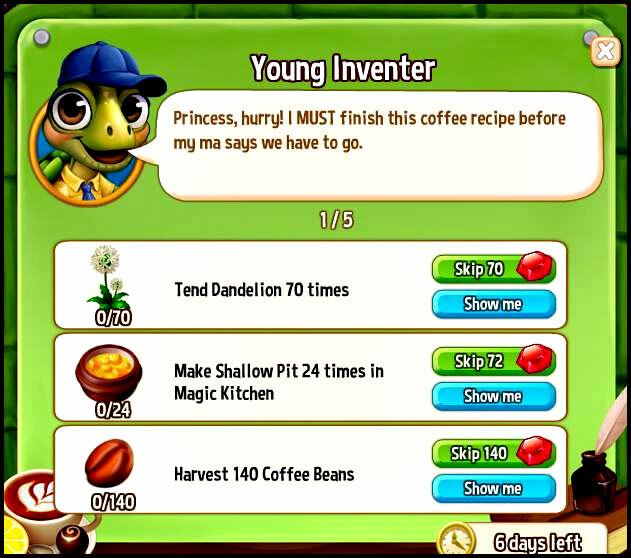 If a player finishes the quest in time there is a possibility to unlock a new coffee machine as a reward. 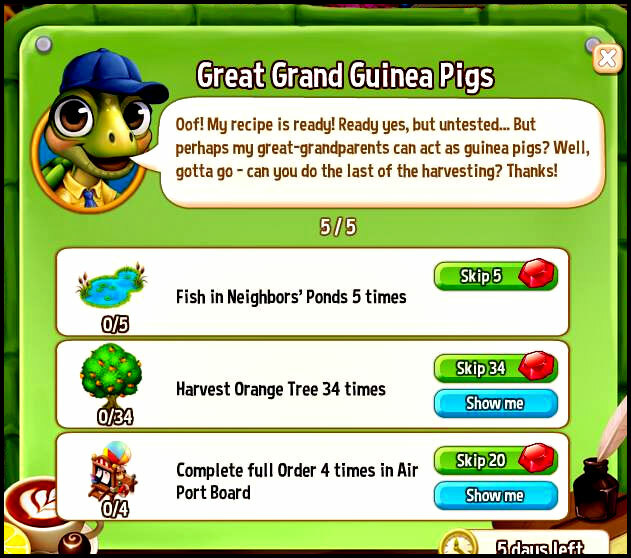 Here is a complete walkthrough of the tasks that need to be completed. 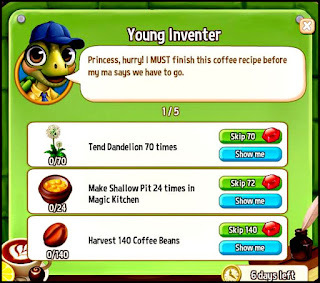 Here you will be tending dandelions, cooking up Shallow Pit, and harvesting coffee beans. 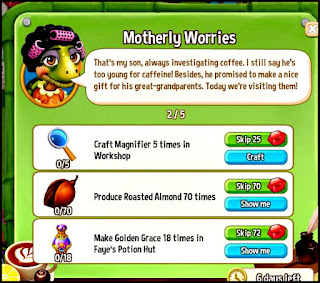 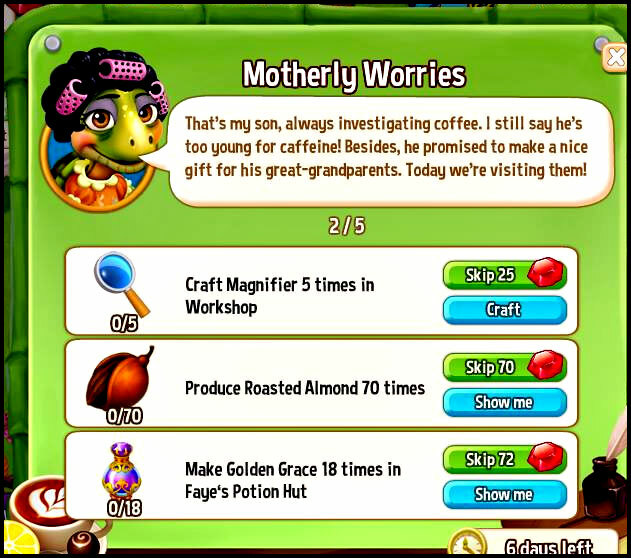 The second part of the quest we will need to craft Magnifiers, produce Roasted Almonds, and making Golden Grace at Faye's Potion Hut. 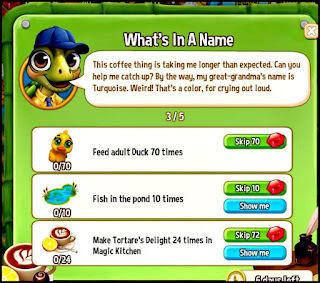 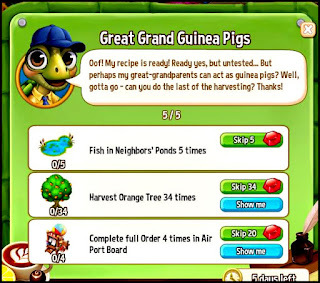 Feed your duck(it cannot be Royal), fishing your pond, and make Tortare's Delight in the Magic Kitchen. Complete Friendly Requests, craft Orange Ear muffs, and produce the new Wisteria Tea. 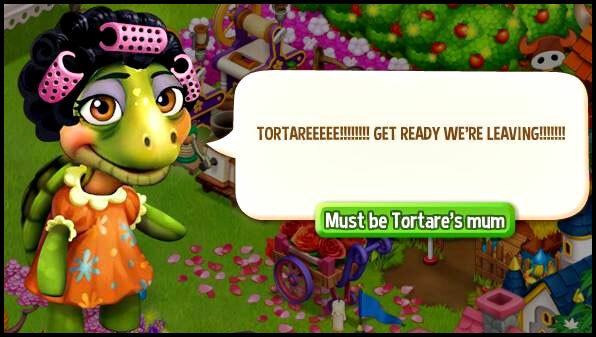 A brief interlude occurs where Tortare's mother calls for little Tortare. 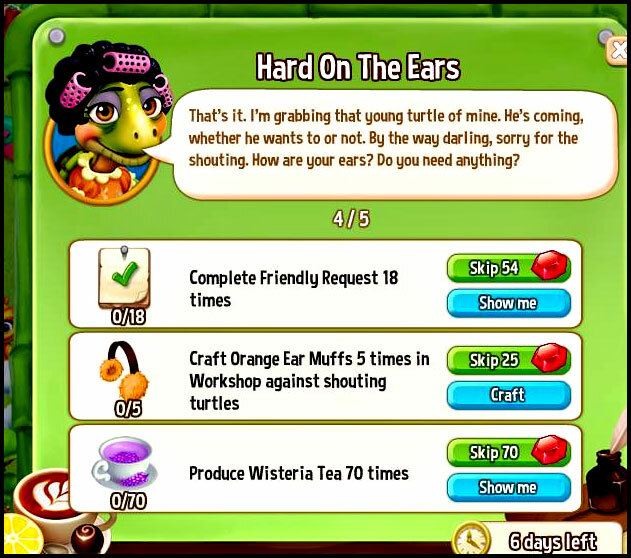 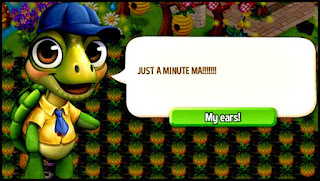 The scene concludes with little Tortare being a snappy turtle.